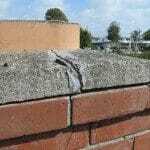 Chimneys that lean or that pull away from a homes wall are usually a result of the concrete footing, pad or soil that the chimney sits on. Precast concrete fireplaces look much like a fireplace built on site, rather than built in a factory and hauled on a truck to the home and tilted up. Buyers and owners may decide to have their fireplace and chimney inspected when there is damage, cracking or the chimney has pulled away from the home. 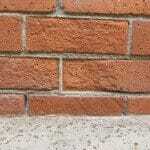 The mortar between the chimney bricks deteriorates over time and may need maintenance or re-pointing from time to time. Hot embers from wood burning fire places may drift over onto a neighbors roof and occasionally start a fire if no spark arreastor. 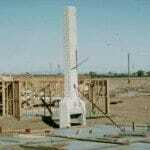 Do gas fireplaces need one? 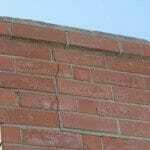 Time, moisture and a few other things may cause the chimney brick to spall.